Ooey, Goey cheese, tomato sauce and Monterey Jack Cheese enveloped in a buttery crescent dough “bomb”. 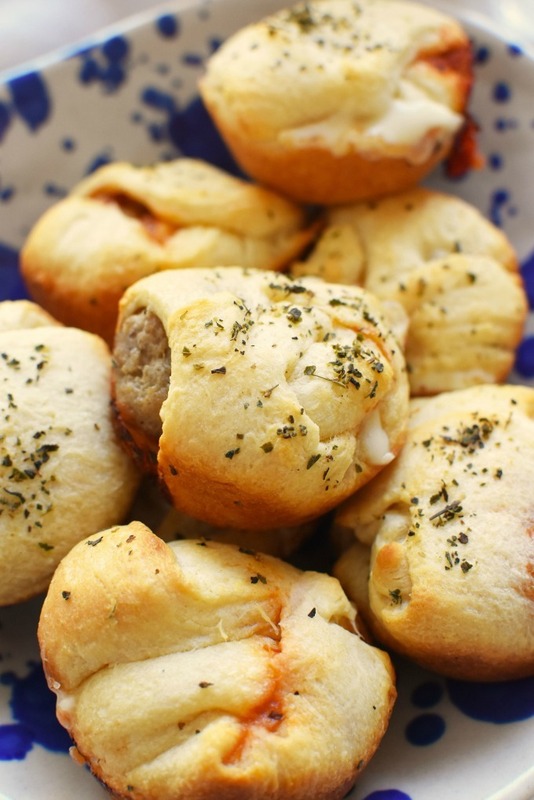 Easy to make, and hard to resist these meatball and cheese crescent bombs are a crowd pleaser. 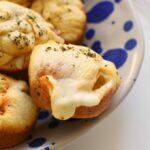 Cheese Bombs are some of my favorite appetizers to serve around the holidays. Earlier this year I discovered that crescent and muffin tins were a perfect match. Ever since, I have been creating delicious cheese bombs with all sort of fun fillings. Can we agree that cheese makes everything better? 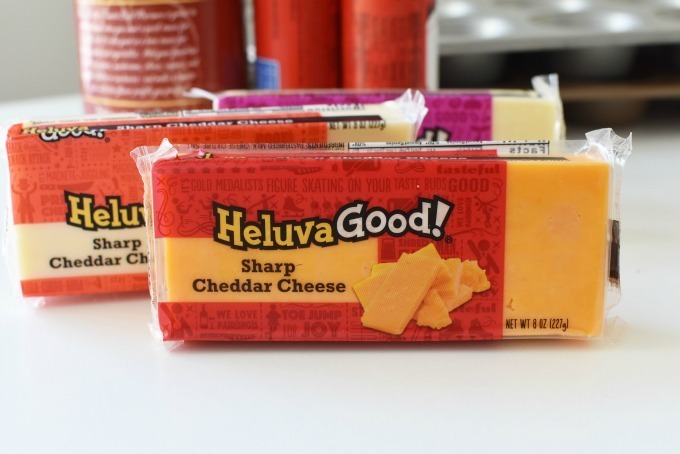 My all-time favorite cheeses to use in my crescent bombs is from Heluva Good!® Cheese blocks. 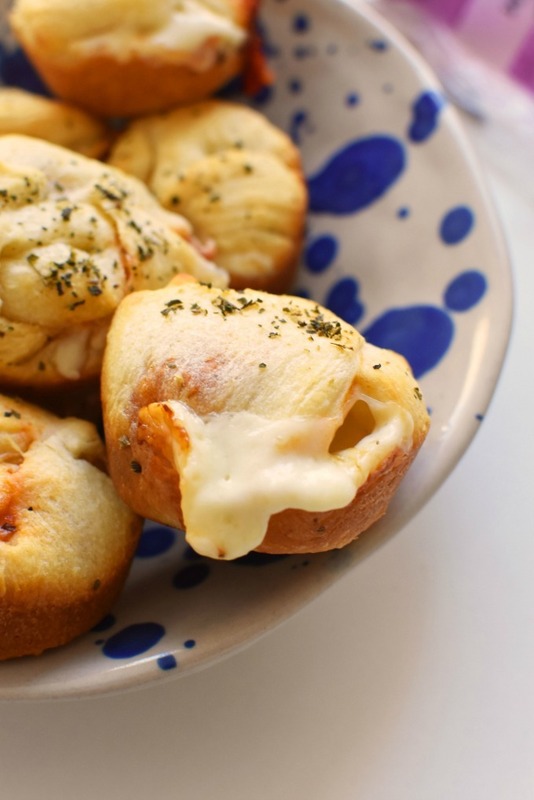 They have the all-time creamiest cheeses that create the best cheese pull for my cheese bombs. I love all their flavors and always have a block or two on-hand. Around this time of year, entertaining is at an all-time high. Having friends and family over means that yummy appetizers, and finger foods are a must. That is why I am constantly baking up these cheese bombs which take 15 minutes MAX from start to finish. Of course, I can always depend on Heluva Good! Cheese blocks for a quick snack or entertaining food. I love to chop up their blocks of Cheddar, or Pepper Jack, and serve it on a cheese tray with crackers. Oh, and their dip is simply amazing! Check out this Christmas Tree Platter I made recently with their cheese and dip! Heluva Good! Cheese blocks are gluten-free, made with milk, and have zero grams of trans fat per serving. As if that is not appealing enough, they are also an excellent source of calcium, and a good source of protein. 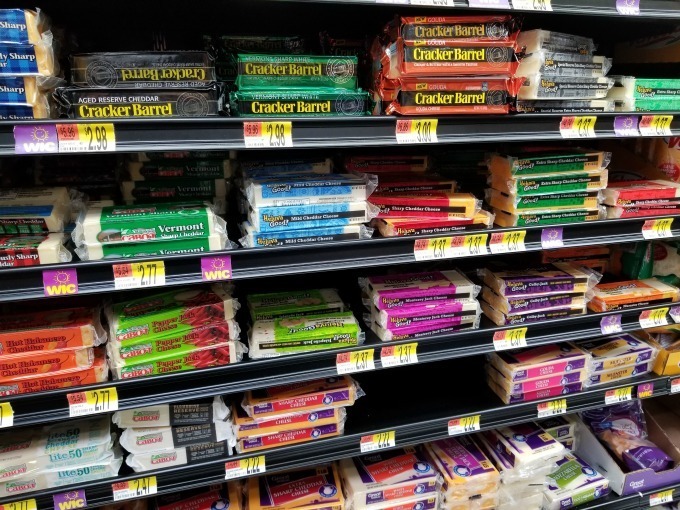 I purchased my cheeses at Walmart. You can find an awesome assortment in the refrigerated cheese section. There is even a current cash back Ibotta offer (limited quantities are available). 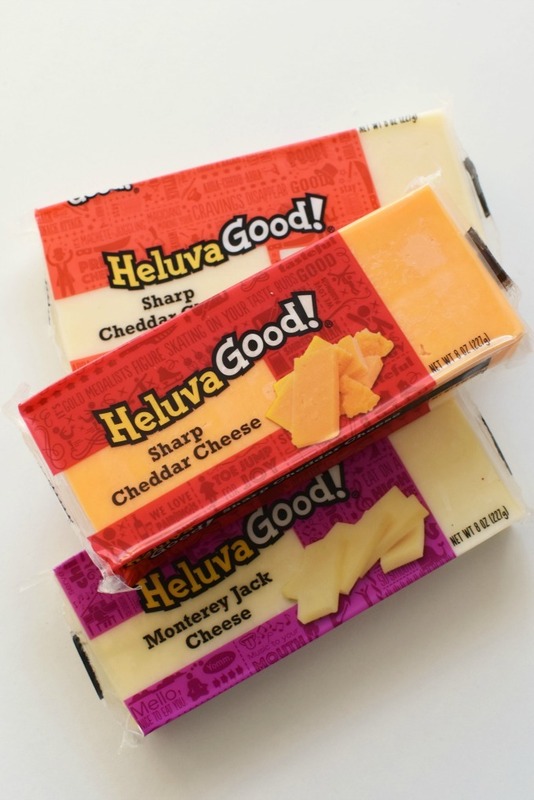 You can actually use ANY flavor of Heluva Good! 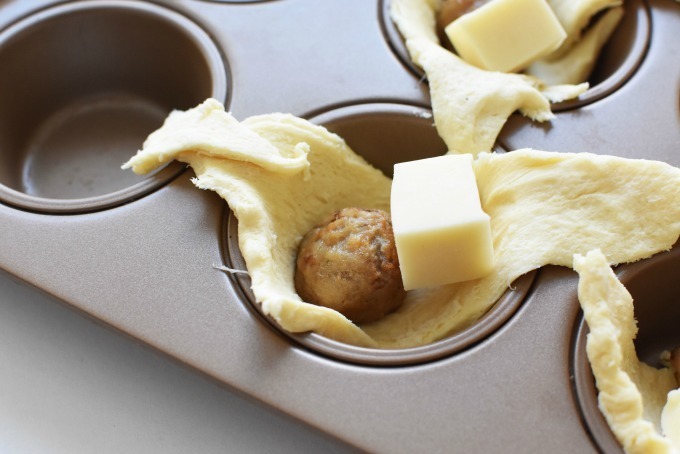 Cheese blocks for these Meatball and Cheese Bombs. Get the printable recipe below! 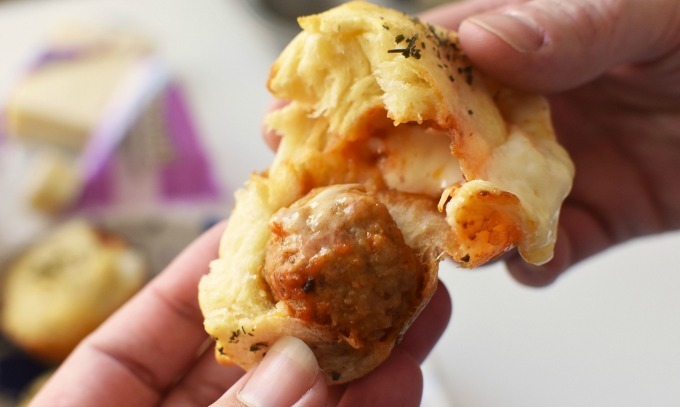 The magic really happens after these buttery crescent dough bakes up and envelopes the savory meatball and yummy cheese. I love crescent dough bombs and they way that Heluva Good! Cheese blocks make them that much more delicious! Looks at how cheesy, and saucy that tender (fully cooked) meatball looks in there! How can Heluva Good! Cheese blocks help you entertain this holiday or game day season? 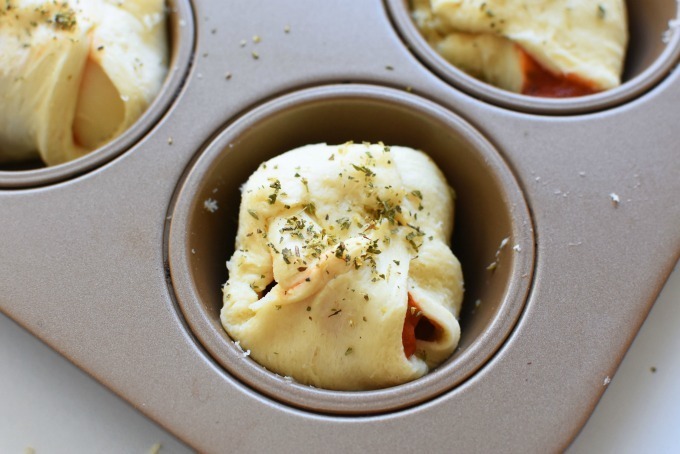 Do you think your family would gobble up these crescent cheese bombs quickly? Ooey, Goey cheese, tomato sauce and Monterey Jack Cheese enveloped in a buttery crescent dough "bomb". 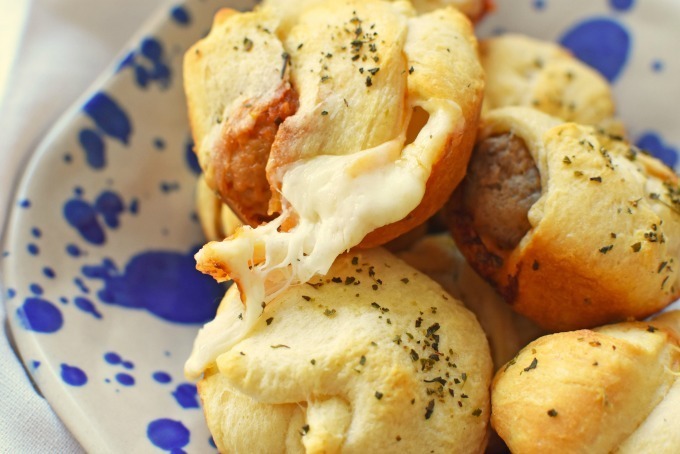 Easy to make, and hard to resist these meatball and cheese crescent bombs are a crowd pleaser. Pre-heat over to 350. 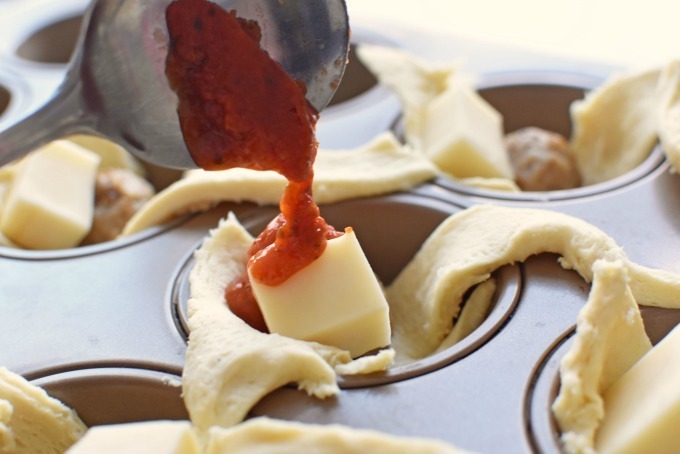 Unwrap crescent dough and fold over 8 spots on the muffins tin Add one meatball, one chunk of cheese, and one teaspoon of sauce to each. 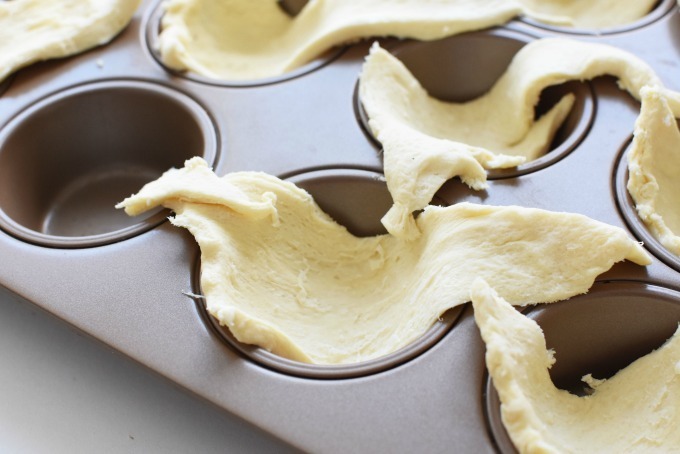 Fold over ends of crescent dough into a ball. Sprinkle with oregano, Bake for 10-11 minutes or until slightly golden brown. Enjoy warm! 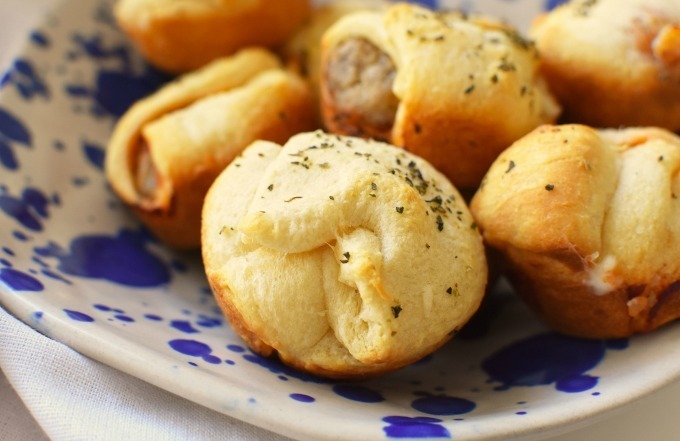 I’m totally making these for dinner tonight! Don’t judge…I’ll make a salad too! :) They look delicious and I know my twins will love them! What a fantastic idea for a snack to take to a Christmas party! I can totally see my family devouring these for Game day also. 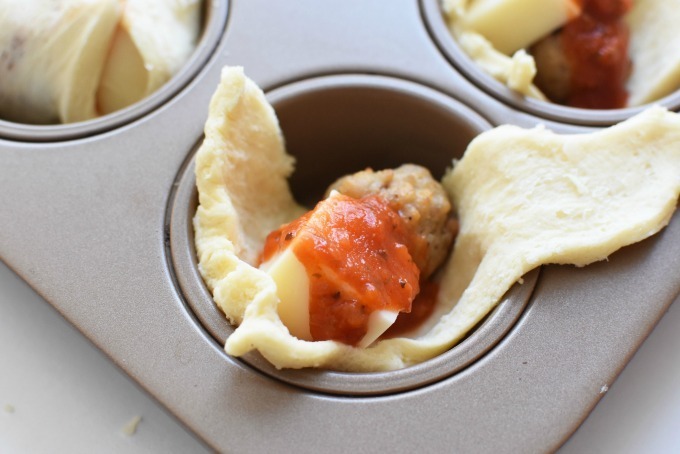 Your recipe sounds totally delish AND easy to eat without all the mess of a meatball sandwich. These look so amazing. I need to give these a try real soon. I love just about anything with cheese. Oh my goodness! I am so hungry now! I NEED to make these! thanks for sharing.